Are your guests traveling from near and far to celebrate with you? Send them on their way with a travel candle favor. 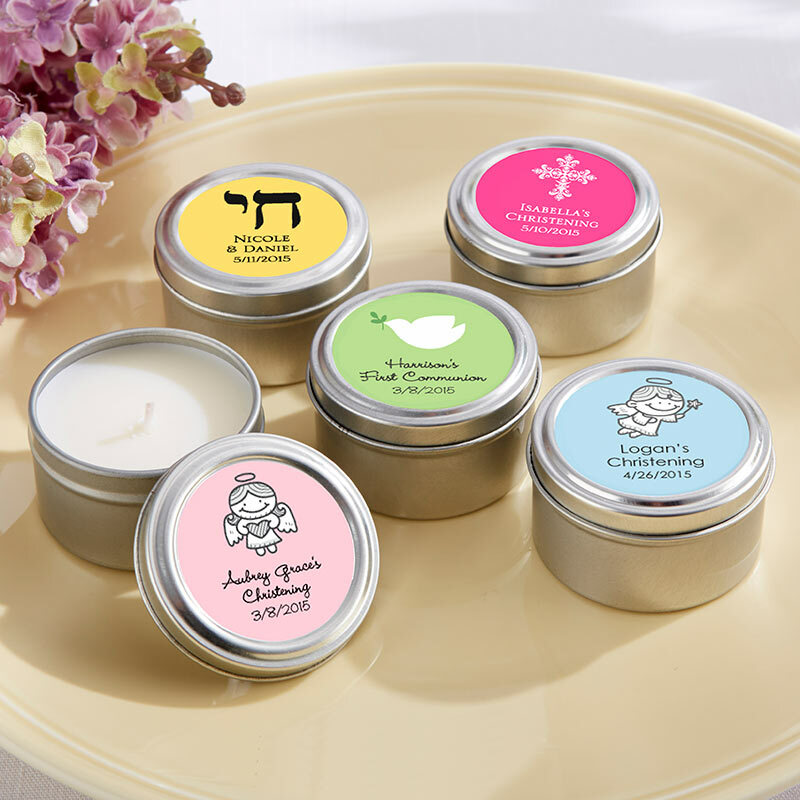 Personalize each candle tin for your religious event, milestone, or holiday. Whether celebrating a Bar or Bat Mitzvah, Baptism, Christening, or First Communion, there are design options for all.